During my trip around Thailand, I encountered a few posts online about how to cross the border from Bangkok to Cambodia by train. Getting to a border by train was a novel experience I have yet to try, so I decided to take the train to Aranyaprathet, the closest Thai town to the border between Thailand and Cambodia. 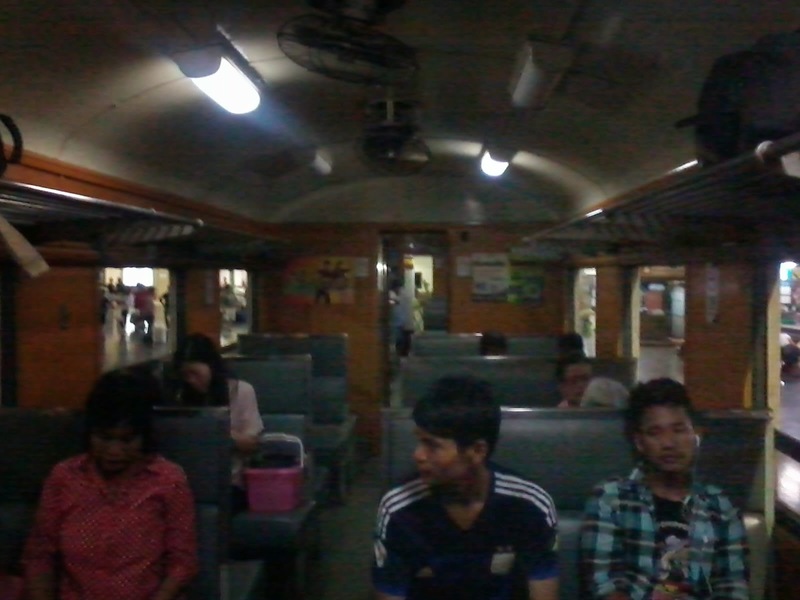 I was still a bit groggy as I lined up for the train to Aranyaprathet at Hua Lamphong station. The earliest train to the town departed at around 5:55AM, so I had to wake up earlier and head to the station half an hour early to make sure I get tickets. Thankfully, there was no line and I uneventfully got on the train. The ticket was around 50 Baht one way. At first I was seated in a cabin with plenty of locals. I noticed that the conductor and some Thai officers asked some of the Caucasian travelers on the same cabin to transfer, it didn't bother me much, but I later soon found out that only locals were staying on that cabin and I was later asked to transfer as well. The train ride passed through the countryside, which reminded me of the provinces back home. The landscape was very similar. I just hope that someday there would be a serviceable train (not just the PNR) that travels to various provinces in the Philippines. Transport like this just makes things easier for everyone to get from one point to another, and it's not even that expensive for a 6 hour train ride. Once I got to Aranyaprathet, I hired a tuktuk for 80 Baht to take me to the border between Thailand and Cambodia. Once at the border I went straight to the immigration office and had my passport stamped. You can get to the immigration office without any problems, you don't have to hire anybody to do it for you. Once I stamped out of Thailand I quickly crossed the border to the Cambodia side. The contrast in development was blatantly obvious as I crossed the border. There were also several fixers just waiting for their next victim just right after you step onto Cambodian soil, it was quite funny. Don't entertain any of them as you can pay the fees and stamp in by yourself. Getting my passport stamped for Cambodia was easy because I was a Filipino citizen, didn't have to pay any additional fees. 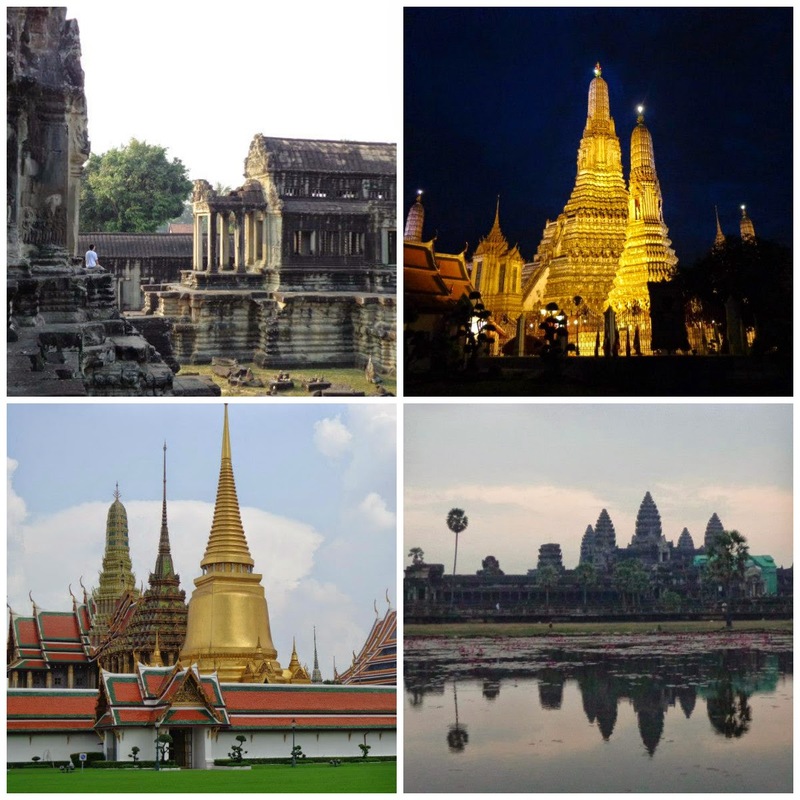 Check your embassy to know the requirements to enter Cambodia depending on your nationality. Poipet, the Cambodian border town you will enter as soon as you cross the border, has a free bus that takes visitors to the station where you can ride a van, bus, or hire a car. You don't have to pay for anything to get there unless you hire a tuktuk or motorbike. Once at the station, you can choose your next destination. This was how I crossed the border from Bangkok to Cambodia, you can do this as well or ride the bus or book plane tickets.